As we celebrate the legend's birthday this past week, here are Patti's most iconic mane moments. 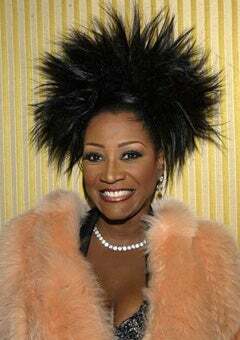 When thinking about the most boundary-breaking tresses in entertainment, there’s no way you could make a list without Patti LaBelle’s name right at the top. While she’s amazed us with powerhouse vocals and hip-shaking hits like “Lady Marmadade” and “New Attitude,” LaBelle also made our eyes widen with just once glance at her over-the-top wigs. Since her earliest days with The Bluebelles in the ’60s, LaBelle has made in-your-face, boundary-pushing hairstyles her trademark. As we celebrate the legend’s 68th birthday today, here are LaBelle’s most iconic mane moments of all time.